Patience is a virtue, a key. Patience is minutes and hours, or sometimes days, or even years. 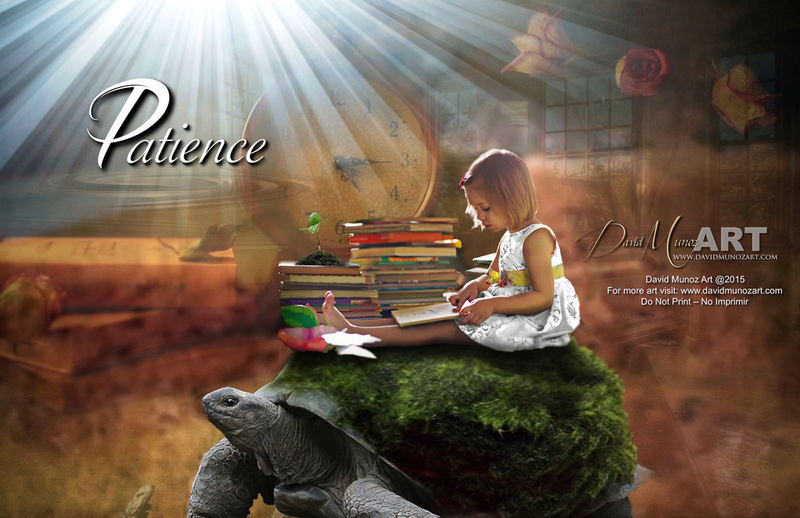 Patience is hard like a rock yet so soft that it melts away when the time comes. Patience is wisdom. It's a journey. Patience stays with you and gives you company until all is right again. Patience is a gift, a present. It's an angel, a message, a waiting kiss. Patience is the sails of a ship - or a painting. Patience is a baby boy or baby girl - or maybe both. Patience has to come from God because it makes us grow. Patience is so so so many things. - David Munoz Edited by Sharon M.